grandma's cookie jar: Hooray! I Have a Winner! Hooray! I Have a Winner! 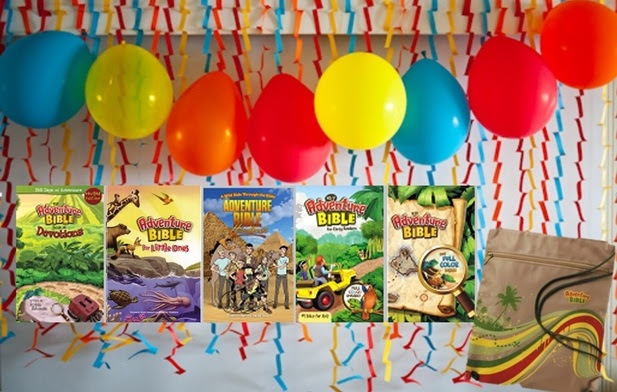 I'm happy to say, Heather W is the winner of the Adventure Bible Prize Package! Thank you for sticking in there and getting the correct references! Please email me your address and I'll forward it to Zonderkidz, so they can send the prize package to you! Thank you! I am so excited - my kids will LOVE this. Fun Idea - Free Calendar! grandma's chuckles - Fall Leaves & a New Pillow! I'm a Very Happy Grandma! The Halloween Dilemma . . .
grandma's cookbook - Banana Bread in a Jar! Hang In There! They Are Likely Listening! grandma's chuckles - Surprising Grandma! grandma's chuckles - "I Look Rediculeeous!" Day Seven in the Adventure Bible Quest Game! Day Four of the Adventure Bible Quest Game!